Marco our distributor surpassed himself. 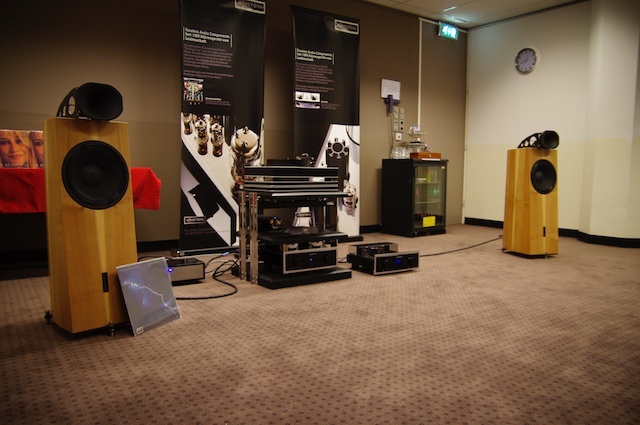 He organized the show with an exceptional presence of our brand: our loudspeakers were present in 3 rooms. - and the Octave V110 with a (silver) black box. On the sunday, in this room have been recorded and replayed a live concert of Case Mayfield. It was astonishing to have the artist sitting there and the music playing 1 to 1 and hardly notice a difference between the live and the playback performance.